But I can’t. That’s because it’s not easy. We travel anyway because holiday travel is an obligation. And what’s worse, we all do it at the same time. The result? Airports and highways filled with grudging travelers who have picked the worst possible time to board a plane or pile into a car. Here are the most common travel mistakes people make during the holiday season. Most of them are perennials, but there are a few additions to the list this year. Waiting too long to book: It’s too late for a Thanksgiving travel deal, but you might still find a bargain for Christmas or New Year’s. No guarantees. Google has released a handy tool that enables you to track rates for seasonal flights and hotels by destination. You can select pricing information by holiday — and hope for the best. Leaving too late for the airport: If you’re traveling on the busiest travel days of the year — just before or after a major holiday — give yourself an additional two hours just to be safe. Also, consider downloading the MyTSA app. It allows you to check how busy the airport is likely to be on a specific day, at a specific time, based on historical data. The TSA app also allows you to look up information about delays and the weather at your airport. Being unprepared: For too many people, travel preparations are an afterthought. The mistakes range from packing the wrong items to forgetting to gas up the car. And the consequences range from minor (not having a change of underwear) to severe (arriving late at the airport and missing your flight). Alas, there’s no new way to remember everything. An old-fashioned yellow sticky pad is my favorite, or you could try an app like PackPoint. Traveling on the wrong day: The holiday travel hordes move in mysterious ways. For Thanksgiving, for example, not everyone leaves and returns on the same days, according to new research by Skyscanner, an online booking site. That creates a sustained busy period, starting a few days before the holiday. So when it comes to planning, you may want to leave even earlier and stay later to avoid traffic. The single busiest travel day last year was Dec. 22, two days before Christmas. Jan. 2 was the day the most travelers returned from their trips, followed closely by the day after Thanksgiving. You can see a list of the busiest air travel holidays on the Skyscanner website. Road travel tends to follow the same pattern. “One of the biggest mistakes people make is traveling on the busiest days when they could avoid it,” says Michael McCall, a professor at the Michigan State University School of Hospitality Business. Sometimes, leaving a day early can mean the difference between a stressful trip and a perfect getaway. And sometimes traveling on the day of the holiday (Thanksgiving Day, Christmas Day, New Year’s Day) means fewer crowds and less traffic. 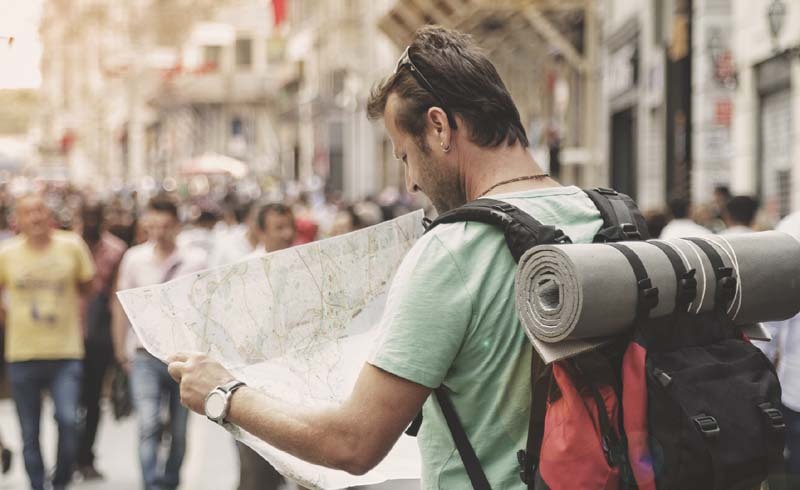 Giving travel insurance short shrift: Insurance can protect you in the event of trip interruptions, delays or missed connections, or lost luggage, and it can cover medical expenses. And it’s not that people aren’t thinking of travel insurance. It’s that they’re failing to consider important details and options, or they’re going with the first policy they see, offered at the end of an airline reservation. One of the most popular insurance benefits is called “cancel for any reason.” Although expensive, it reimburses 75 percent of your nonrefundable trip cost, allowing you to cancel your trip for any reason whatsoever. 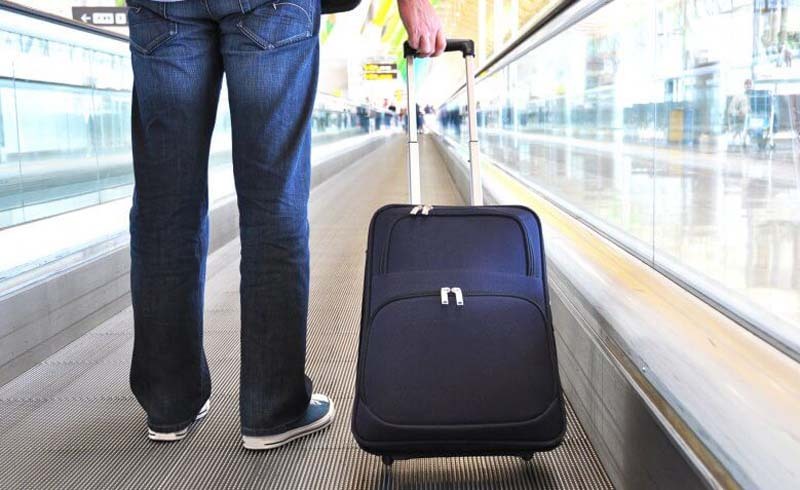 Minimizing holiday trip hassles comes down to a few simple strategies. They include conducting careful pre-trip research, paying close attention to the fine print on your airline ticket, hotel room contract or rental car contract — even if you think you know everything — and remembering to remedy the three biggest errors holiday travelers make. As in, don’t wait too long to book, give yourself plenty of time and prepare. And the rest of the holiday travel mistakes — at least the ones I make — are fodder for those fun TV and radio interviews. I hope you’ll tune in while you’re waiting for your holiday flight.